Gloria Rand - SEO Copywriter has launched a new website called LetGoofIBs.com that promotes alternative treatments for digestive disorders like Irritable Bowel Syndrome. Ms. Rand provided SEO copywriting and social media marketing services to LetGoofIBS.com founder, author and coach, Elizabeth Pry. Gloria has been such a support... She seamlessly developed my plan, provided compelling copy and continues to guide me. Gloria Rand – SEO Copywriter is pleased to announce the launch of a new website that offers alternative treatments for those suffering from Irritable Bowel Syndrome. 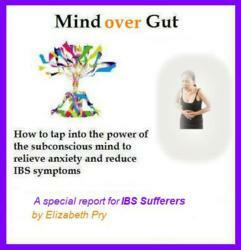 LetGofoIBS.com was founded by author and coach, Elizabeth Pry, who uses tools such as visualization and meditation, EFT (acupressure), hypnosis, Neuro-Linguistics Programming and Awareness Training to help people achieve symptom relief from digestive disorders like IBS. Elizabeth Pry hired Gloria Rand to provide SEO copywriting and social media marketing services for her new business. The project involved writing keyword-rich copy and meta tags, enabling LetGoofIBS.com to display on a search engine results page when IBS sufferers type a query into sites like Google and Bing. “Gloria has been such a support throughout this process. I had literally no working knowledge about SEO and she seamlessly developed my plan, provided compelling copy and continues to guide me as I become more fluent in the Social Media and SEO world,” said Elizabeth Pry. Gloria also recommended the creation of a lead capture device that could be included on the website to collect email addresses. She edited Ms. Pry’s special report, “Mind Over Gut” and designed the report’s cover art for the website. Gloria wrote a series of autoresponder emails that are sent to each person who requests the special report. And she videotaped a welcome message from Ms. Pry that is displayed on the website’s home page.